Innovation is about exploration. The aim of which is discovery; to uncover previously unidentified opportunities and developing strategies to implement in a way that benefits the individual, the organization, the bottom line and society at large. The thing about exploration, is you don't always know where you are going... and that is the point. Innovation is the domain of those who are curious. The curious, by nature, are interested in asking questions to which they know not the answer; and they are willing to accept that which might disrupt their world view. Essentially we dMBA graduates are professional explorers that operate within a systems framework to understand not only the obvious cause and effect relationships in a problem, but the nuances that result from complex interactions between products, services, employees, management, operations, corporate culture and the financial goals of the organization. Traditionally, these disciplines are practiced by different departments in an organization, but I believe these boundaries need to be intentionally blurred. 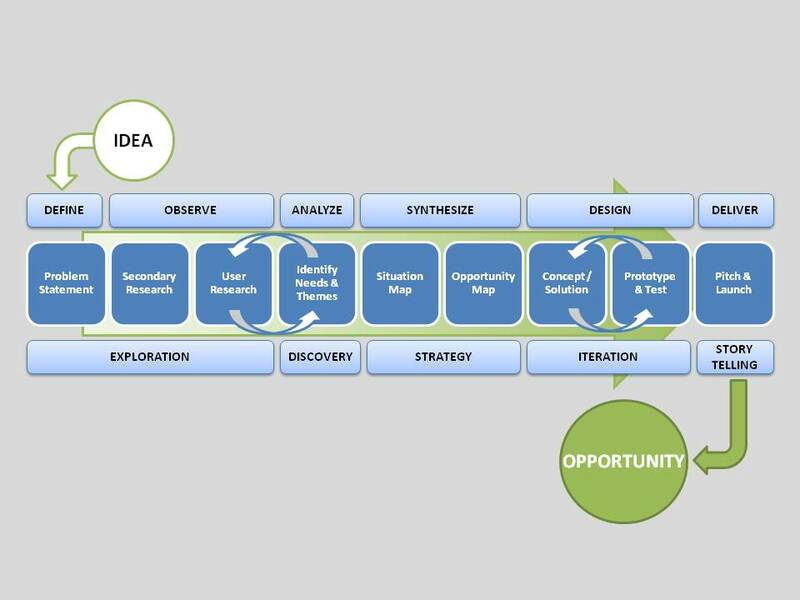 This is the job of the design strategist and the foundation of innovation. My understanding of innovation is a work in progress since as a person, I'm constantly growing and learning. 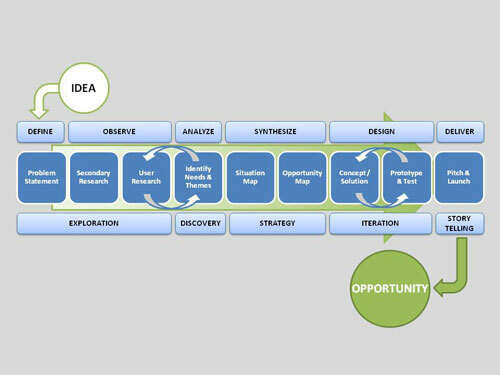 This process map was a collaborative effort, by my Venture Studio project team, to visualize the dMBA design methodology. I believe it's essential for my personal perspective to continuously evolve. Defining processes is an intellectual exercise, but processes run the risk of becoming static which is an obstacle to innovation.